Ratio Master - application which fakes upload and download stats of a torrent. Very complete open-source FTP and SFTP client. 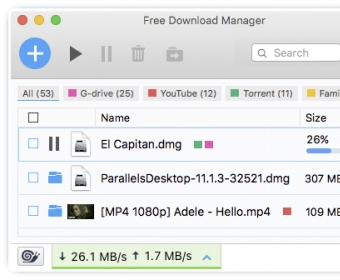 A BitTorrent client to preview fetched files directly from its interface. Free video converter for the Mac. YouTube video downloader and browser. Your best friend for FTP file transfer on Mac OS X.
Download data from the web with just a few clicks.